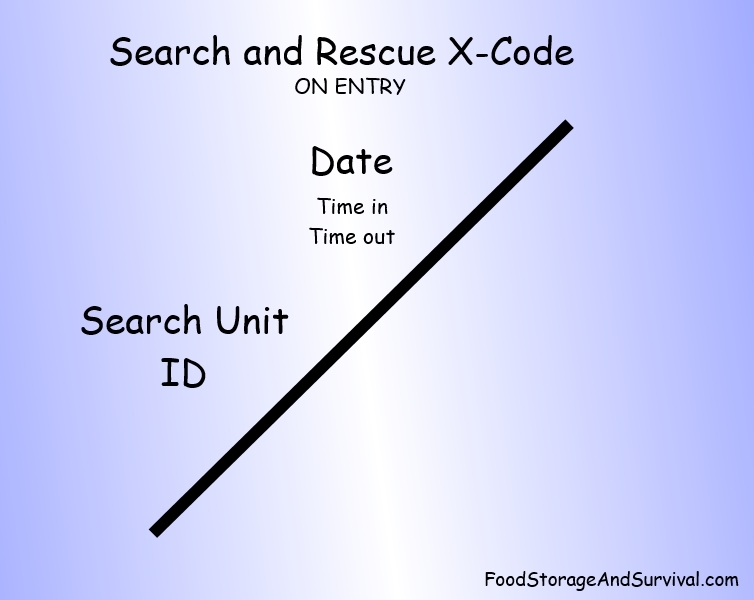 Search and Rescue X Code–What Does it Mean? One of the sections in my recent CERT training course covered basic search and rescue techniques. And part of that training was what in the world those search and rescue X marks mean that are painted on houses and other buildings after a disaster. You can see an entire exhibition of post-Katrina X codes here. In the recent Oklahoma tornadoes X codes were even painted on vehicles. They’re actually pretty simple, and although not everyone follows exactly the same format it’s pretty similar. As the searchers enter the structure they make the half of the X that is the slash mark from top right to bottom left. This indicates that there is a search in progress. They can fill in the top and left portions of the X code at this point. When they’re leaving, they finish the X and fill in the rest. Top Quadrant: Date and occasionally time in and out. 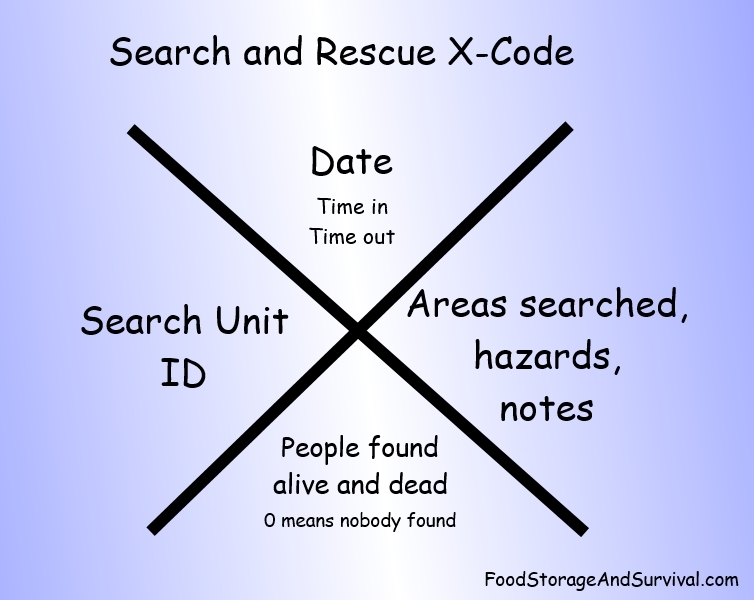 Left Quadrant: Search unit identification. Right Quadrant: Areas searched and any other notes or hazards. Bottom Quadrant: Number of live and dead victims found in the structure. A zero indicates nobody was found. You can also include information on where any injured victims were taken. Now you know, you’ll never look at those X codes the same again. I learned the code when I took my basic CERT class. As a team, we have never been called up for a house-to-house search. We still review the code from time to time.